If you are debating planning a cruise trip on the new Carnival Breeze ship, there are some new restaurants that you will want to make sure you include in your vacation plans. The Carnival Breeze ship is the newest ship in the Carnival fleet. It is part of the new Fun Ship 2.0 expansion that will transform the entire Carnival fleet by 2016. Ultimately every Carnival ship will have these restaurants but for now they are limited to the Liberty and the Breeze. Some of the new items you can expect on the Carnival Breeze include Guy’s Burger Joint designed by Celebrity Chef Guy Fieri. If you are a burger fan, you will absolutely love Guy’s burgers as they are truly amazing. Guy’s Burger Joint was a big hit with families. Also new on the Carnival Breeze is the Punchliner Comedy Brunch by George Lopez. On the hour you can hear a 10 minute comedy review by a comedian hand picked by George Lopez. Be sure to try out the churros, Cinnamon-sugar fried dough served with a chocolate sauce for dipping. They are delicious. 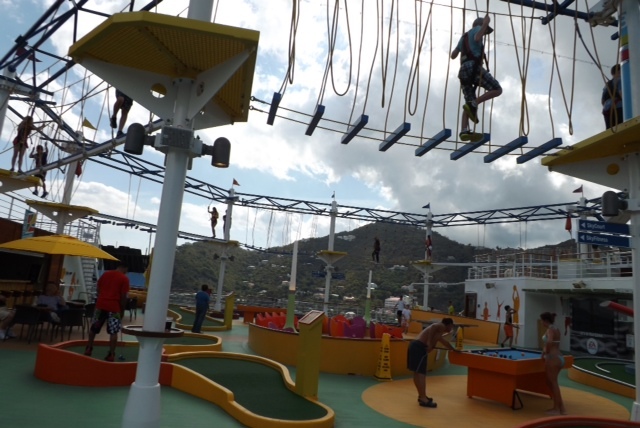 Another wonderful Fun Ship 2.0 upgrade is the SportsSquare with the ropes course. This ropes course offers an easy course for younger or less adventerous and a more active course for teens and adults. All of the new restaurants mentioned and the ropes course are free. There are other meal opportunities with additional costs but you can easily enjoy the free options and have a wonderful time. I am Lynette Henk, Beyond Beauty Cream Anti-Aging & XO Healthy Chocolate promoter. I can be reached at 941-216-5727, at [email protected] or at my website. I love cruising with my family. 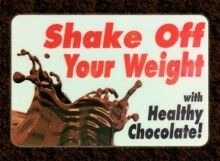 I make sure my family stays healthy when cruising by eating lots of high antioxidant cold pressed chocolate. Order now and save 20% and receive free shipping when you order at ColdPressedChocolate.com.